When you climb a tree, the first thing you do is to hold on tight...Thirty-four-year-old Harry Crane works as an analyst for the US Forest Service. When his wife dies suddenly, he is unable to cope. Leaving his job and his old life behind, Harry makes his way to the remote woods of northeastern Pennsylvania's Endless Mountains, determined to lose himself. But fate intervenes in the form of a fiercely determined young girl named Oriana. She and her mother, Amanda, are struggling to pick up the pieces from their own tragedy--Amanda stoically holding it together while Oriana roams the forest searching for answers. 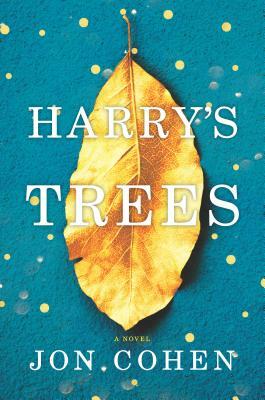 And in Oriana's magical, willful mind, she believes that Harry is the key to righting her world.Now it's time for Harry to let go...After taking up residence in the woods behind Amanda's house, Harry reluctantly agrees to help Oriana in a ludicrous scheme to escape his tragic past. In so doing, the unlikeliest of elements--a wolf, a stash of gold coins, a fairy tale called The Grum's Ledger and a wise old librarian named Olive--come together to create a golden adventure that will fulfill Oriana's wildest dreams and open Harry's heart to a whole new life.Harry's Trees is an uplifting story about the redeeming power of friendship and love and the magic to be found in life's most surprising adventures.